As part of a small project I’m doing in Southern Indiana, I spent two days touring around Clark and Floyd Counties to see what was up. As a guy who grew up in the area, it was great to get to see a lot of the positive things that have been occurring there. While perhaps places like New Albany and Jeffersonville might be considered small cities, the Southern Indiana portion of the Louisville metro area has about 280,000 people and is integrated into the larger regional economy. So it is participating in the economic and urban growth that’s also happening on the Kentucky side of the river. The commercial development, particularly restaurants, in New Albany was impressive. Several Louisville establishments have set up shop there, joining locally-based businesses that offer a wide range of high quality goods. I’m talking about places like New Albanian, Quills Coffee, Toast, The Exchange, Bread and Breakfast, and more. There have also been a lot of infrastructure upgrades since I last lived there. 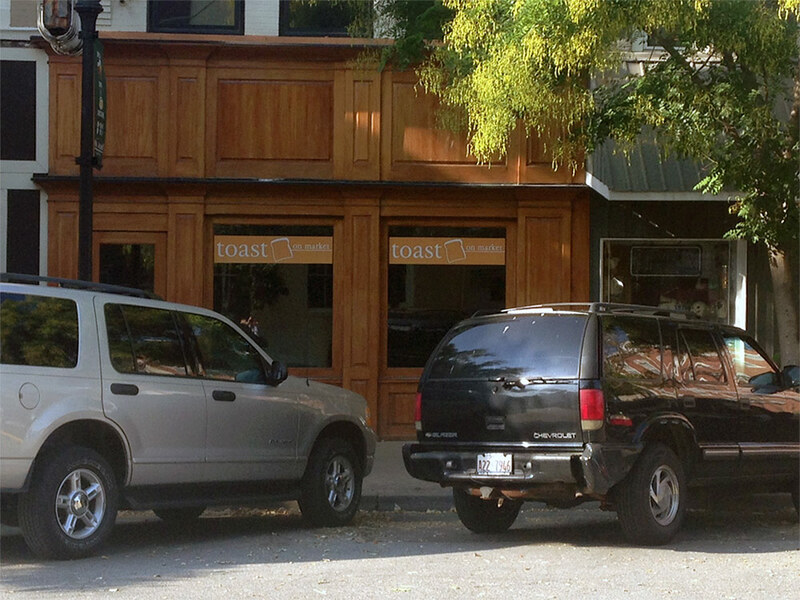 For example, a recent streetscape project on New Albany’s Main Street was underway while I was visiting. Talking with some of the employees of the various businesses, some of whom moved from out of town to the area, it was clear that many of them made a deliberate choice to pick downtown New Albany, seeing it as a place with huge upside potential—they didn’t just land there by accident. 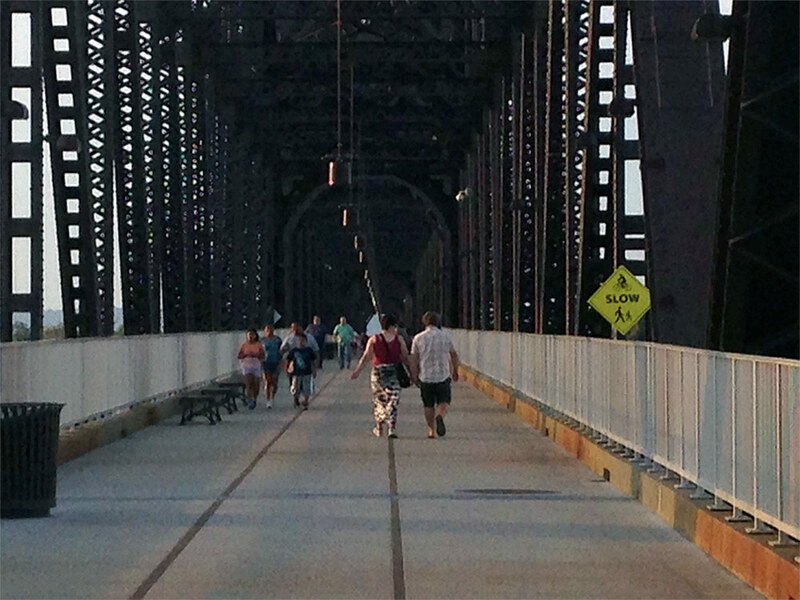 There are some similar developments in downtown Jeffersonville, where the impact of the full opening of the Big Four Bridge as a pedestrian and bike crossing has been huge. I’ve walked across it several times now and am always amazed by the crowds. With extremely limited commercial development on the Louisville side of the river, Jeffersonville is raking in a ton of businesses, with an ice cream stand, several quality bar and grill places, and even a cigar bar tapping in. I expect this is only the start of a significant uptick in activity there. Clarksville remains the commercial center of the region and appears to be staying strong. It’s also got a huge redevelopment opportunity on its hands with the Colgate property and other prime real estate directly across the river from downtown Louisville. Not only is this the best skyline view of the city available, it already has pedestrian access across the Second Street Bridge to Louisville, albeit on a very narrow sidewalk. Most people never see it since you don’t pass it on any major highways—yet—but the Port of Indiana industrial park near Utica is humming with activity. Likewise, I saw a ton of building in the River Ridge industrial park that spans Jeffersonville and Charlestown. That huge amount of space on a major highway is primed to explode when the East End Bridge opens, though tolls remain a huge question mark. Overall, I was happy to see the kind of redevelopment that had long been talked about when I was a kid finally happening—though I must confess I miss the “LRS 102” lights on the Big Four. I’m expecting things to only continue to get better as these developments mature and grow.